Our bar is set high to deliver the best experience during one of the most important purchases in your life. We work with clients who appreciate valued advice and understand the importance of tax implications, income growth, and solid portfolio financial planning. Our clients demand exceptional Realtors who are available, systematic, thorough, and who provide honest and realistic feedback. "I strongly recommend David Yun's services...he possesses a great analytical mind and is an outstanding, professional, hard working, efficient, diligent, responsive broker. David and his colleague May-Ann were instrumental in helping us sell our Santa Monica home. They did an excellent job preparing it for sale, staging it, answering our questions and keeping us infomred, generating immense interest in the property, securing multiple offers, and quickly and effectively getting us through the entire process quickly and painlessly. David and May-Ann guided us through every step and were consistently supportive. We were thrilled with their performance, we would happily hire them again, and we recommend them to everyone, with enthusiasm." "David Yun and May-Ann are a rare breed among realtors. I felt overwhelmed when I started the search. Other agents either dismissed me as a prospective buyer or failed to follow through. During our first call, David reassured me that he would help me find the ideal home and he got the ball rolling. From the lending process up until the close of escrow, he and May-Ann guided me step-by-step and were consistently supportive whenever I encountered any setbacks. We went to several open houses and they were extremely transparent about the pros and cons of each option. I finally found one I wanted and they fought hard and negotiated a great offer with the seller. In this competitive market, I couldn't have done this without them!" "David was extremely helpful throughout the process of buying our first home. His knowledge of the area and market was a key element of getting started in the market and his understanding of the entire process helped guide my wife and me through a lot of unknowns and pitfalls as first-time buyers. He was available at all times to answer questions quickly and to move the process forward when time was tight. He's a harsh negotiator...exactly who you want to have on your side. The final terms of our purchase were strongly in our favor, and I can't speak highly enough of David's ability to make sure you get a good deal. On every count, I'd strongly recommend David in your realty search"
"I was referred to David by very dear friends of mine. At the time, I was going through a divorce and the last thing I needed was some sharkey agent to make me feel uncomfortable. I met with David just to discuss options and relocation areas, and to my relief, he was gentle and kind and understanding. He encouraged that I take as long as I needed to find the best fitted home for myself... and he meant it. Even after nearly 6 months of looking quite actively, we finally found the perfect town home for me. A lot of agents can walk you through a process, but not everyone can be patient and empathetic to your situation. I'm glad David was. Very grateful he represented me." "David's knowledge of the Santa Monica and West Side market is invaluable, especially in this competitive market. I appreciated not only his work ethic, but his integrity: he literally analyzed each property I had interest in and provided me with his professional opinion at the value at which it was listed. He did his job with educating me so that I could ultimately make a well-informed decision on my own about my buy. I knew he had my back, and that's why I'll continue my real estate investments with David." "I'm an attorney who works crazy hours, and am not the most available person if you aren't my client. I was impressed by David's response time to my inquiries and when I signed docs. He was always available, really appreciated that. He's a 24/7 agent who gets the job done." "It was not easy finding the right home in this market. Nonetheless May-Ann worked tirelessly in helping us do so. She was extremely patient considering how long it took us to finally find something suitable and affordable. May-Ann is knowledgeable about the market and great at negotiating on her clients’ behalf. She met us on evenings and weekends when we had availability; and when she didn’t, a member of her team still did! And even with such demanding as clients, she remained poised, patient and kind, which made it a pleasure working with her. We would recommend May-Ann and her team to anyone looking to buy or sell!" "I had been looking for a larger place for my family near the area where I worked that had a decent size yard. I wanted move-in ready, modern architecture and contemporary finishes. I wouldn't say I'm difficult, I would just say that I am particular. I was impressed with David's patience and non-pushy approach. He gave me his professional input about price point and potential, and always left the ultimate decision up to me. We are happily in our dream home thanks to our agent who was with us every step of the way. We recommend him to any and all." We take a strategic approach with all of our clients whether you are buying or selling your home. Market conditions, relationships, and astute neighborhood knowledge are key factors that play into having a winning strategy to get your offer accepted or selling your home as quickly as possible.  David Yun and the Eighty8 Group are one of the foremost negotiators in the Los Angeles real estate market. We take great ownership in our fiduciary responsibility to our clients, and will thoroughly negotiate from the purchase price to the closing costs, or to obtain the highest possible price for your home. We leverage data in everything we do to support your home purchases with solid market analytics to help you make the most informed decisions. If it’s not a great deal we’d invest in ourselves, we’ll never force it. From seasoned investors to individuals looking to purchase their first income property, we work with clients to advise on up-and-coming markets to invest in with the best returns, fix-and-flips, and new development opportunities in LA. Our strong partnerships with developers, contractors and city building officials allow us to add value in every step of the process. We are a team effort that is staffed to support you throughout the entire process and meticulously oversee the details that come with selling or buying a home. Our dynamic team represents a multi-faceted skill set with prior backgrounds in law, business, marketing, and technology that allows us to be agile and innovate with the changing times. Our approach with selling a home starts with a very tailored marketing plan geared to position your home on the market in front of the right audience and buyer. We leverage online, offline, social media and grassroots marketing tactics to deliver a holistic marketing approach to each step of the home selling process.